Feel free to talk to our online representative at any time when you need help. Please note that reply might take 1 or 2 business days. It normally takes some time before payments through Ecocash, M-Pesa, Postal services and Shoprite reflect on our systems because WASCO systems and those of our partners are not yet integrated. As long as you have evidence that you have paid its ok. But just to be sure please call customer care for explanation that will be relevant for each of your accounts (22262111). I am just willing to hear from you through an alert if there is any vacancy to apply for as a construction manager. I so hope my request will be taken into consideration. we always publish vacancies on this website. Make a point to browse through it frequently. The numbers you have on the website does not work! 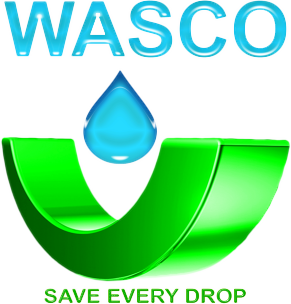 How can i get a hold of Wasco Maseru off Moshoeshoe rd? Its been 4 days now that we are without water in Khubetsoana, Bochabela 3, Khotsong Section without any explanation. Please help us! you were affected by a burst pipe and we explained on this website, on different radio stations as well as on our facebook page; Water and Sewerage Company. We are sorry if you missed our message on these communication platforms. we have also experienced another burst which will affect supply at Bochabela, we will update customers accordingly. Direction, on the way from letamong Naleli to either mineworkers or motlakaseng khubetsoana u take this route of motlakaseng, the first colbot from the junction, u turn left, pipes are leaking there and as we speak the situation is still the same.